Ideal for anytime you�re at the beach or lounging by the pool, these swimwear cover-up pants do a great job of keeping you cool while being covered. 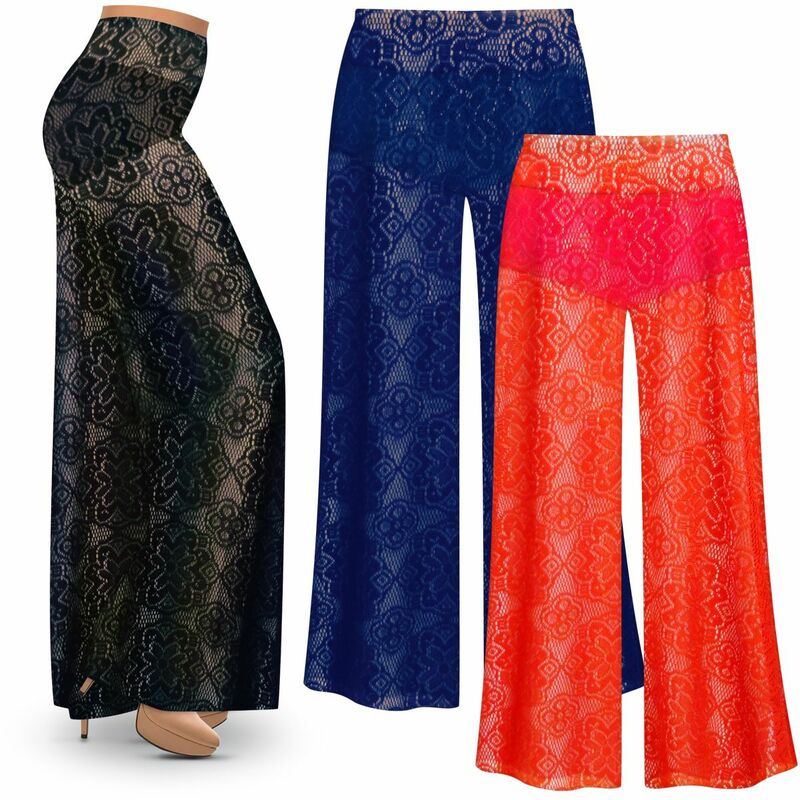 They are palazzo style, wide leg pants with an elastic waist and 2 side pockets. Just slip them off & you're ready to swim. ** PLEASE NOTE! These pants run big. To ensure a proper fit, please take your measurements & compare to the size chart below. This material is stretchy. However, all measurements are always taken unstretched.